The conference took place on Friday November 16, 2018 in Santiago, Chile at the Facultad de Economía y Negocios de la Universidad de Chile, Diagonal Paraguay 257, Santiago, Chile. As with previous editions (2015, 2016 and 2017), this conference aims to bring together academics, practitioners, and policymakers sharing interests in banking stability and sustainability. It also provides a forum for presenting new research as well as discussing current and challenging issues on financial stability and related topics. More information and updates will be published at this website. 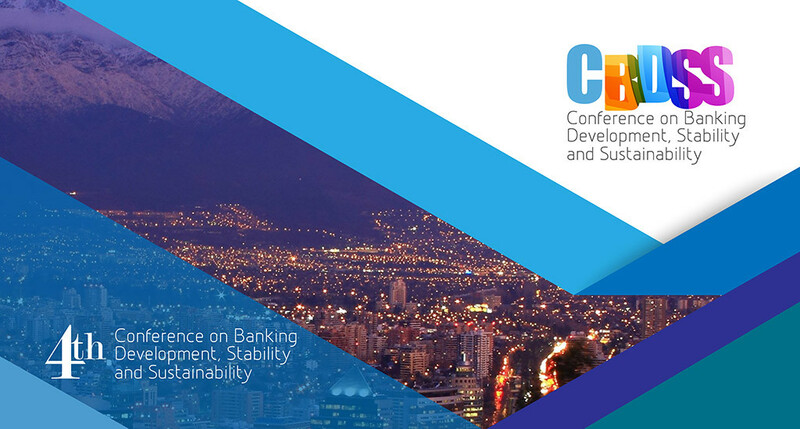 The Conference provides an instance to discuss a wide range of topics in the area of banking stability, and sustainability; covering topics such as the impact of the implementation of the new Basel capital and liquidity frameworks, new banking resolution mechanisms, the use of stress testing in managing risks, the challenges of new technological development, cyber-security, banking supervision, financial inclusion, and environmentally-conscious banking. 8:30-9:00 Registration and welcome coffee. 12:10-13:00 Guest Speaker: Thorsten Beck, Full Professor of Banking and Finance; Cass Business School, University of London: "Post-crisis regulatory reform - where do we stand?" Discussant: Carlos Noton, Universidad de Chile Debt holder monitoring and implicit guarantees: Did the BRRD improve market discipline? Discussant: Eric Parrado, Universidad de los Andes Banking Competition and the Cost of Credit for Firms: Evidence from Loan-level data in Chile. Discussant: Fernando Diaz, Universidad Diego Portales U.S. Stress Tests and Bank Risk-Taking: Evidence from the Syndicated Loan Market. Dr. Nancy Silva, Superintendencia de Bancos e Instituciones Financieras. Dr. Erwin Hansen, Facultad de Economía y Negocios, Universidad de Chile. Rudy Araujo, Association of Supervisors of Banks of the Americas (ASBA). Cesar Tamayo, Inter American Development Bank. General inquiries regarding the conference should be directed to our email address. Further information and updates will be provided in this website.